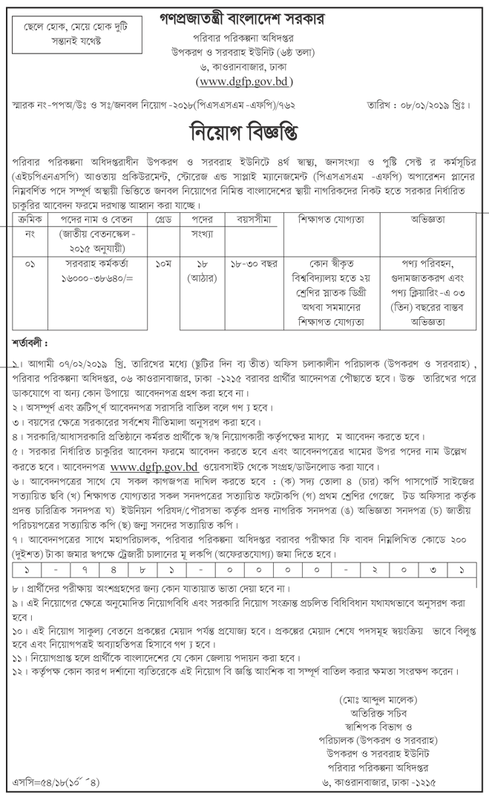 Directorate General of Family Planning (DGFP) job circular 2019Directorate General of Family Planning (DGFP) job circular 2019 has been published. Directorate General of Family Planning (DGFP) published new job in there website. You can also get updates about DGFP jobs circular application job circular in My website . For Download DGFP jobs circular read this post. See below the more information. Lot`s of people search for family planning govt jobs circular in Google and Others Newspaper. Now they are very satisfied about dgfp because they are published this jobs for general people.